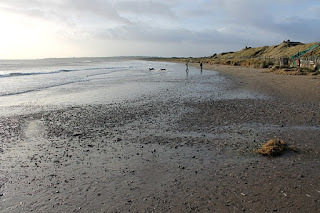 Coastal erosion is a slow process as winter high tides take a few more feet into the sea every year. 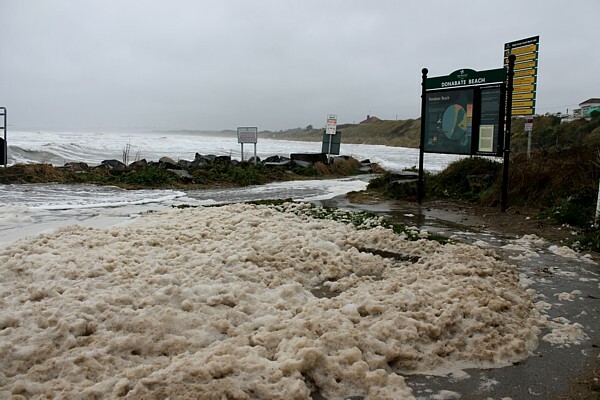 However, if climate change is not tackled we could see a sudden increase in the rate of coastal erosion in the years to come. 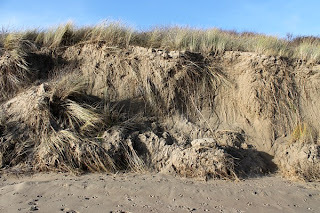 Every year coastal sand dunes across Ireland are undermined. Frontal sections collapse and are then swept into the sea. 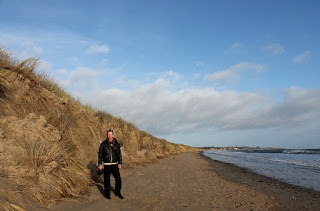 At Corballis Beach in Donabate large sections collapsed in December, 2012. 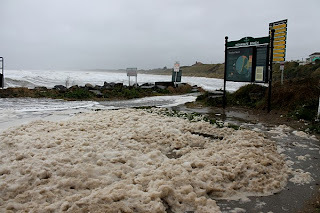 Corballis Beach on Sunday 30 December, 2012. Most damaged section. Corballis Beach on Sunday 30 December, 2012. Height of the most damaged section. 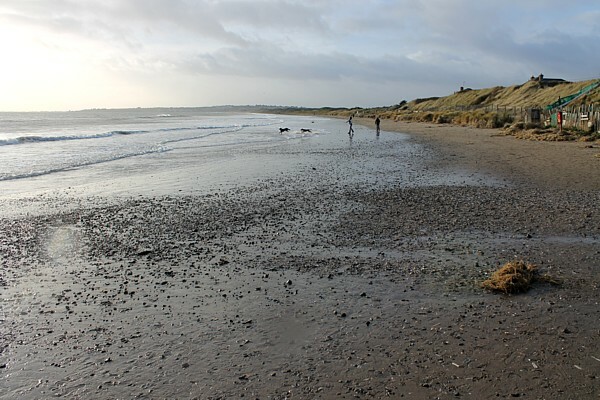 It is ironic that at the point at which these environmental aspects are finally being dealt with, the very structure of the beach is being seriously challenged. If measures are not taken soon, Corballis, too, will soon have no dunes worth speaking about.